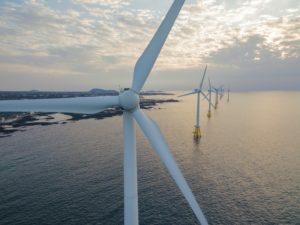 Fichtner Consulting Engineers has advised JERA Co. Inc on their acquisition of a 24.95% stake in Gunfleet Sands offshore wind farm from Marubeni Corporation. The 172.8 MW offshore wind farm has been in successful operation since April 2010. Fichtner acted as technical advisor to JERA on the transaction providing full technical due diligence including energy yield estimates.